There is a yarn I was told years ago about a quiet, unassuming man named Christy Doherty (RIP) that speaks to me of the fishermen of Cheekpoint. It concerned an incident at a fishing weir located just below the village close to the Mount Quay and Sheag Rock. The story went that Christy rowed down to the Sheag Weir one winter’s morning to haul the net on the low water. It was “black dark” as they say and as Christy hauled down the “gob rope” to the cod end a squall came on, blowing hard from the North West, by far the worst wind you could get at that particular weir. In the space of a minute the squall rose to a hurricane and the punt sank beneath him. All Christy could do was jump onto the top of the net and claw his way, hand over hand towards the weir. On getting to the mouth of the net, he managed to scale the poles and finally reaching the head (or top) of the weir, he collapsed in exhaustion. The wind had died away, just as quickly as it arose leaving it a cold dark morning. The tide was turning flood, the punt was gone, and Christy would have to await a passing punt or to hail someone on the shore. He found his cigarettes and matches, which had somehow managed to stay dry and curling himself up to cold, he lit one and settled down to await a rescue. The Sheag Weir, 1960’s I’d imagine. The story epitomises the men of the village of Cheekpoint in the past. No nonsense, hard working, resilient and very accepting. Christy could have died that morning for nothing more than a few flats, herring or a cod or two. But it would have made a meal that day or bought/bartered milk or butter. I was warned not to repeat it, probably because such stories would embarrass the man. And despite the fact that as an adult Christy would fill with me stories of paddle steamers, herring fishing, and regattas, I bit my tongue and respected his privacy. This year for Heritage week I’m doing a presentation and workshop on the weirs of the harbour. The event is held in Ormond Castle at the invitation of the Office of Public Works. The plan is to provide an overview of the weir history, the technique, their uses with a specific mention about the old eel traps made by the Shanahans of Carrick (including a replica of the trap). I will then look at the introduction of the Salmon weirs, or Scotch Weirs and the social unrest they caused which has been referred to in recent years as the Weir Wars between the fishing families on the Suir and Barrow extending as far as Carrick and New Ross. Finally I will do a re-enactment of the build technique of the weir, and specifically how the upright poles were driven. You can book a free place here. I realise fishing isn’t everyone’s interest, but there are literally hundreds of events on over the course of heritage week. Here’s a link to all things maritime. The event will be a walk to overview the landscape and examine some outcropping rocks. A selection of insights into the history of our every-changing earth will be revealed. Expect a surprise or two from this geologist’s eye view. Good footwear recommended. The paths and coastal walks have reasonable surfaces and gradients. They cover an elevation range of 150m. Confirm your place on washere@indigo.ie or by texting 0872126677. Limited to about 20 persons. Donations will be appreciated. The Barony of Gaultier Historical Society will hold a Public Conversation on Local History in the Dunmore East Library at The Fisherman’s Hall on Thursday, 23rd August. This event which will take place at 10.30 am will involve BGHS committee members talking over a cup of coffee on various aspects of local history from all parts of the Barony of Gaultier. 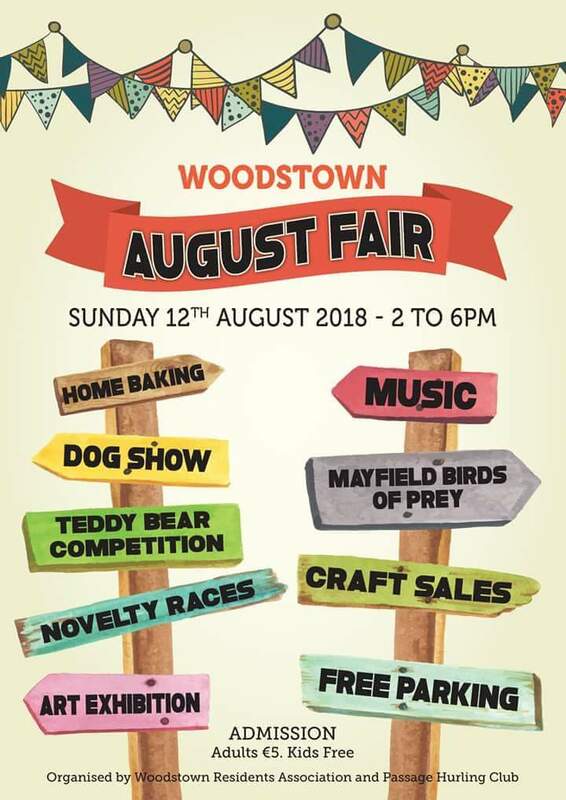 Anyone that has an interest in the local history of Dunmore East and other areas within the Barony of Gaultier is invited to attend this event. Admission is free and all are welcome. 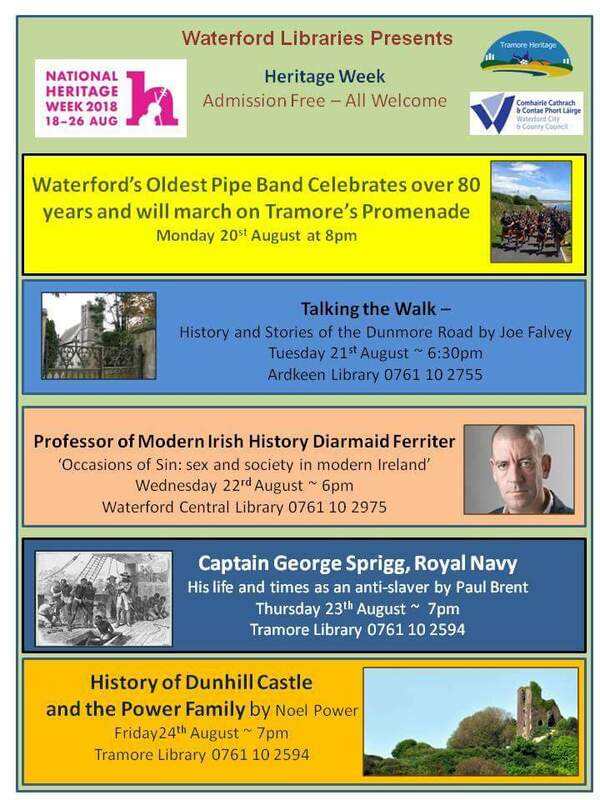 Join Joe for a Walk and a Talk on the Dunmore Road, commencing at Ardkeen Library on Tuesday 21st August at 6.30pm. Admission is free and all are welcome. This will be my last blog for a few weeks as we are Canada bound for a family wedding. See you Friday 15th September for a look back at the visit of King Edward VII, naturally from a maritime perspective. In 1904 a local paper(1) announced that war had been declared from Waterford Harbour. The war was a game, but a serious game, that involved up to 200 ships and extended across the length of the Irish Sea. The Waterford Flotilla stationed in the harbour played a crucial part. 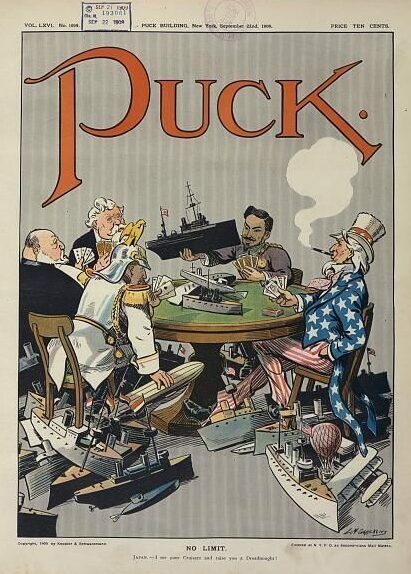 The early years of the twentieth century saw heightened tensions across Europe and Asia as Russia, Germany, Britain and France flexed their might and vied to extend or to enhance their individual power bases. On land and sea new technologies and uncontrolled expansion saw risks multiply and preparations for war was the order of the day. A feature of this preparedness were manoeuvres or war games played out on a grand scale. In this particular war game in 1904, the Irish side of the Irish sea the “Blue side” and extended from Lough Swilly to Cobh (then called Queenstown) with three ports assigned as “designated protected zones” meaning in short that to the opposing side these were seen as no go areas due to the perception of land defenses and military might. The three were Carrickfergus, Kingstown and Waterford. On the opposing side of the Sea the “Red Side” had her own areas of protection Loch Ryan, Milford Haven and Falmouth. The manoeuvres commenced on Monday 8th of August (preparations had commenced two weeks previously) and were set to continue until August 15th. The object was to test out naval strategies, enhance communications, testing machines and weapons and ensuring the security of land defenses. Such defenses had at their core, it would seem, the efficient working of signal stations and intelligence bases. Ultimately it seems with the reorganisation of the British home fleet flotilla and the introduction of new technologies and ever faster and more powerful ships, new strategies for deployment and engagement were critical for the defence of the realm. 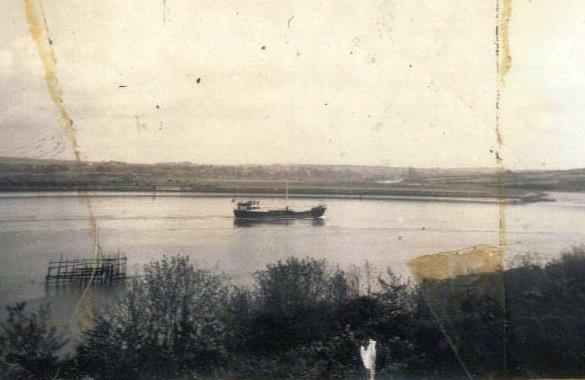 Central to the Waterford base of operations was the river between Passage East, Ballyhack and Arthurstown. There the “Waterford flotilla” was managed. The ship at the centre was HMS Erebus a depot ship which headquartered the command of Captain Charlton. 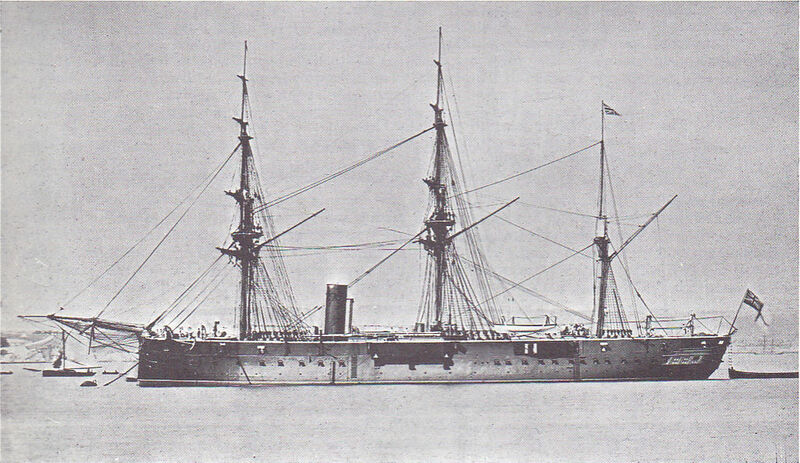 The Erebus, which was formerly HMS Invincible is described as a floating factory dealing with everything from initially painting signaling boards for use in exercises to repairing ships and dealing with all manner of mechanical and technical faults through an army of artificers stationed aboard. Following a terrific storm Waterford harbour was littered with sheltering ships of the “Blue side”. Those further down the harbour were reported to be at risk of dragging their anchors. Those at Passage had their troubles too. For example a collision between HMS Erebus and the destroyer HMS Starfish is reported. The latter coming alongside collided heavily with the depot ship. She also narrowly missed HMS Violet (1897) presumably already alongside. Interestingly the link above used for Starfish suggests that there were handling issues with the craft. Later while Starfish is swinging on the tide, her stern collides heavily with the bow of HMS Vulture which is also at anchor. A whistle announced the departure of the ship and at first only a spray makes the speed of the craft noticeable. At 15 knots a shudder runs through the ship and a gale blows along the decks. At 20 knots the deck is throbbing. When 25 knots are reached the ship is tearing past the wooded hillsides of the harbour and a hurricane is blowing along the decks. At this point a stoker emerges from a manhole in the deck of the ship covered in coal dust from head to foot and limp with perspiration. Below him the air glows red with heat, and when at full power the temperature will rise to 140 degrees. Whatever the outcome of the games, over 114 years later it is obvious that the tone of the article and the romance and adventure reported in parts was very absent from the actual conflict when it emerged. As the superpowers went on to build larger and more powerful machines, the threat of war increased in tandem. Far from acting as a deterrent it arguably made war more inevitable. Ironically many of the ships used in the war game would be redundant by the outbreak ten years later. (1)This article is based on a new report from the Waterford Standard, published on Wednesday August 10th 1904 page 3. Access is completely free and I do it voluntarily. In a dramatic few weeks in August 1917 Dunmore became the centre of a naval espionage operation that saw the destruction of a U Boat, the rescue and interrogation of her captain and a salvage operation to lift the boat from the depths of Waterford harbour. But another event happened during this time, the damage of a minesweeper off Creaden Head and the death of one of her crew. The anniversary of this event is this coming Tuesday. 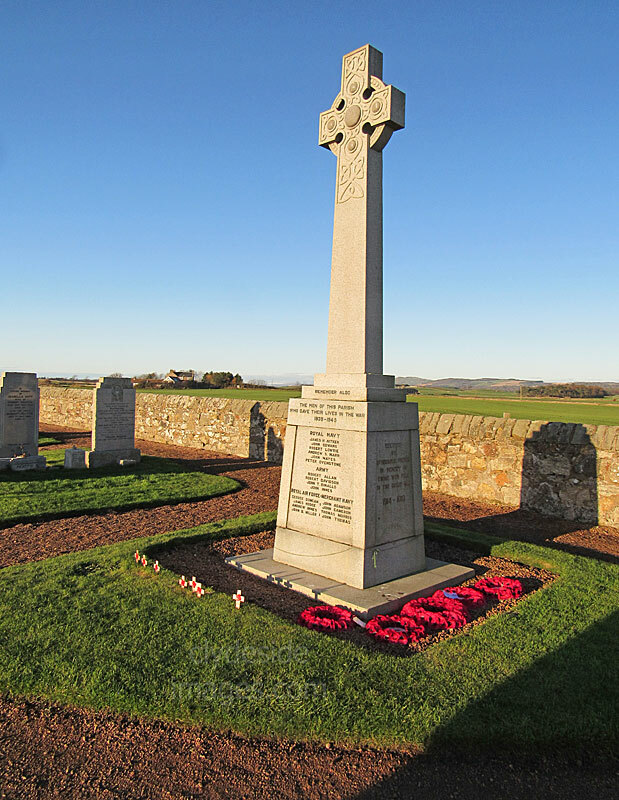 The destruction of UC44 at Dunmore East on the 4th August 1917 is relatively well known locally as it was commemorated by the Barony of Gaultier Historical Society last year on its centenary. Whilst laying mines in the harbour she struck her own mine and plunged to the floor of the harbour. Three of her 29 crew escaped the sub, but only one, the Commander Kurt Tebbenjohannes, survived. Whilst he was transported to London for interrogation and a salvage crew arrived in Dunmore to attempt a daring feat of retrieval, a lesser known but vitally important event was happening in the harbour; mine clearance. I’m unsure if more than one ship was employed in the work that August, but I’d presume two. But one of these mine sweepers was the Haldon; an Ascot or Racecourse class of paddle minesweeper. The Haldon was purposely built for the work by Dunlop Bremner Co Ltd of the Glasgow. 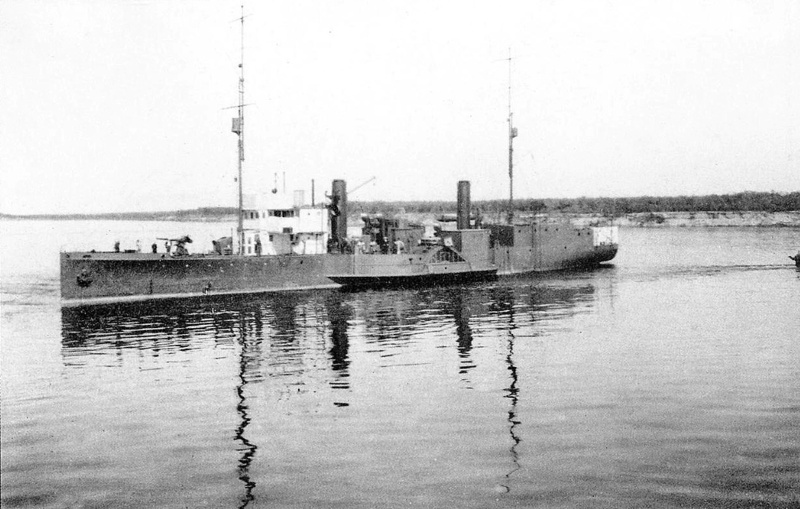 She was launched on the 29th March 1916. I would imagine the mine sweepers swung into action very quickly. Although they could not know it, at least seven mines had been laid before the accident. Fatefully it would appear to have been the last mine to be cleared on August 7th, located close to Creaden Head, that would lead to the damage to the Haldon. Although I have no details as to exactly what happened, one common occurrence seems to have been caused by mines slipping under the ship along the towing cable and detonating. The Haldon although badly damaged survived the war. A deck hand was not so fortunate. John Gowans was previously recorded as having died as a result of illness. It was subsequently clarified by family members that he was killed in action on the minesweeper that day of Tuesday August 7th off Creaden Head. John was twenty seven, from the fishing village of St Monans in Fife, Scotland. 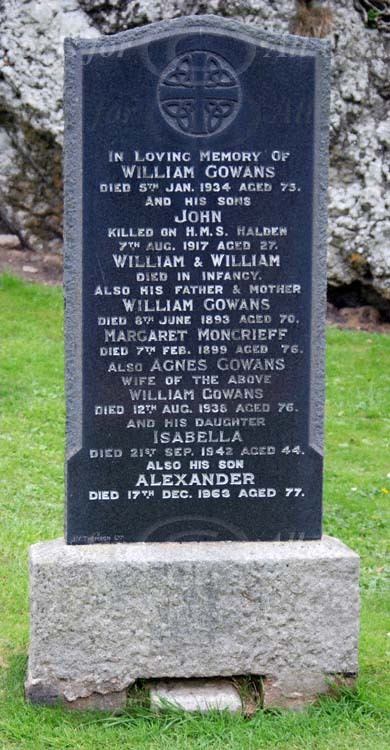 He was the son of William and Agnes Gowans and is buried at Cobh old church cemetery. But is also remembered on his families headstone at his local cemetery. While searching for the details of John I was struck by the similarities between his home place and Dunmore. A fishing village, where men set out clear in their minds of the risks associated with the ocean, but resolute. From contemporary local newspapers it seems the Gowans of St Monans shared in that tradition, with one at least receiving an award for life saving of fellow fishermen. I have no information as yet on his career with the navy, no notion of his life aboard the ship or whether he ever set foot in Waterford or Dunmore East. Knowing so little also set me to wonder would anyone light a candle to him at this stage? Would anyone remember him in their prayers? Would anyone place flowers upon his grave? Another victim of the war to end all wars and another name that is deserving of remembrance.